You probably remember the cast of characters in your estate plan. You were the creator of your trust, known as the grantor, settlor, or trustmaker. The trustee controls the assets in the trust. For most revocable trusts, that’s also you, while you’re alive and well. The beneficiaries are the people entitled to the economic benefit of the trust. For most revocable trusts, that’s you while you’re alive and then later becomes your children or a charity. In many situations, this lineup is adequate for achieving your goals. While you’re alive and well, you (as the grantor) are able to make changes to the trust based on the needs of your family or changes in the law. But what happens after you’re gone or are no longer well enough to keep your trust up-to-date? In most cases a trustee is limited in the changes they can make. Depending on what happens in the future, this can result in conflict, unnecessary costs, unnecessary taxes, or even loss of your family’s legacy. Amazingly, a simple failsafe mechanism can be added to your trust to shield it from many kinds of mayhem and provide flexibility to your family for years to come. A Trust Protector is another member of the estate planning “cast” that you must consider adding to your trust. Their primary duty is to oversee the trust and make sure your intentions are carried out, even when an unforeseen change in the law or other challenge occurs. They can also be given other duties, specific to your needs, your trust, and your beneficiaries. Trusts have a lot in common with Swiss army knives. Their utility is amazingly diverse. When drafted effectively, a trust can preserve your wealth, create structure for the next generation, limit tax consequences, support your business, fund a beloved charity, and give you peace of mind. And, when you include a trust protector, you ensure that your Swiss army knife remains in good working order. Some people postpone or neglect estate planning because they worry about committing to a rigid outcome or fear the costs of amending the plan. Including a trust protector takes the pressure off and provides you with increased peace of mind. When you can’t act, your trust protector serves as the watchdog to your trustee to make sure he or she fulfills all required duties, stays abreast of legal and financial changes, and adapts or updates the trust as necessary. The duties and powers of the trust protector are defined in your trust documents. You get to decide exactly how much power the protector has and over what items. For instance, the trust protector can oversee, remove, and replace trustees, or even amend the trust directly to improve asset protection or change beneficiaries. We’ll work with you to make sure the scope of the trust protector’s powers achieves your goals. Long-term protection for the trust’s assets. What if the money and property you’ve worked your whole life to generate gets squandered or greatly diminished due to poor trustee performance, unnecessary disputes, or embezzlement? Your trust protector can help – for instance, by changing the trust to protect its assets from a beneficiary’s creditors, by maximizing income, and by releasing the trust’s assets for specific purposes. Leaving an inheritance directly to a beneficiary carries risks. What if she loses the assets in a lawsuit or divorce; becomes incapacitated; or engages in extravagant spending? By instead using a trust with a built-in trust protector, you protect your legacy and ensure your assets are available for your family as you intended. Oversight and support for your trustee. The trust protector can observe the trustee to make sure that he or she carries out a trustee’s duties appropriately and with the trust’s goals in mind. But a trust protector can also provide significant support for a trustee as well. The trust protector can help the trustee notice and avoid potential pitfalls and make decisions in line with the goals of the trust. The trust protector can also help the trustee proactively address changes in estate law or tax law that affect the trust, so that your family can receive the best possible outcome. If it becomes necessary to remove a trustee, the trust documents can give the trust protector the power to do so. Then, the beneficiaries are spared the need to go to court and ask for a removal, saving time and money, while reducing or eliminating emotional stress. Easier resolution of disputes over time. Your trust protector can also potentially resolve a wide range of disputes. For instance, you can specify that your trust protector will act as mediator in disputes between co-trustees, between a trustee and a beneficiary, or between the beneficiaries. 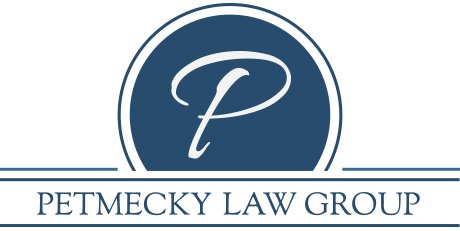 By giving your trust protector the “final say” in these disputes, you can help avoid the expense, hassle, and uncertainty of litigation. Simply giving your trust protector the ability to decide them can shorten some disputes even further. For example, beneficiaries do not need to spend time and effort arguing that a trustee should be removed if the trust protector provides oversight and has the power to remove a trustee. In addition, you may choose to give your trust protector the power to sue or to defend lawsuits that involve the trust assets. By doing so, you help ensure that someone who understands your goals and intentions as they relate to the trust is present during the case to advocate on behalf of those goals and to center them in pursuit of the lawsuit’s resolution. An option for lower long-term costs when compared to judicial modification or settlement. Taking a trust to court to have it modified or to settle a dispute can impose prohibitive costs on the trust and its beneficiaries. Out of court dispute resolution options, like mediation or arbitration, can also be costly. By equipping your trust protector to resolve disputes, you provide an option that is often less expensive than alternative dispute resolution or mediation – allowing your trust to reserve more assets for their intended purpose while still retaining the flexibility to update and modernize the trust when needed. Whether you are thinking of creating a trust, or you have already established one, consider adding a trust protector to increase flexibility, security, and peace of mind. Remember: you control how much power the trust protector has. You decide who the trust protector is, and you can even include provisions in the trust for naming successor trust protectors or for removing or replacing the trust protector for times you can’t. Call us today to discuss adding a trust protector to your estate plan. We are ready to help.